Installation art often involves an entire room or gallery space as the artwork. It's sometimes called environment art. The viewer is the main part of an installation artwork, and many times the viewers walk through and around the artwork. 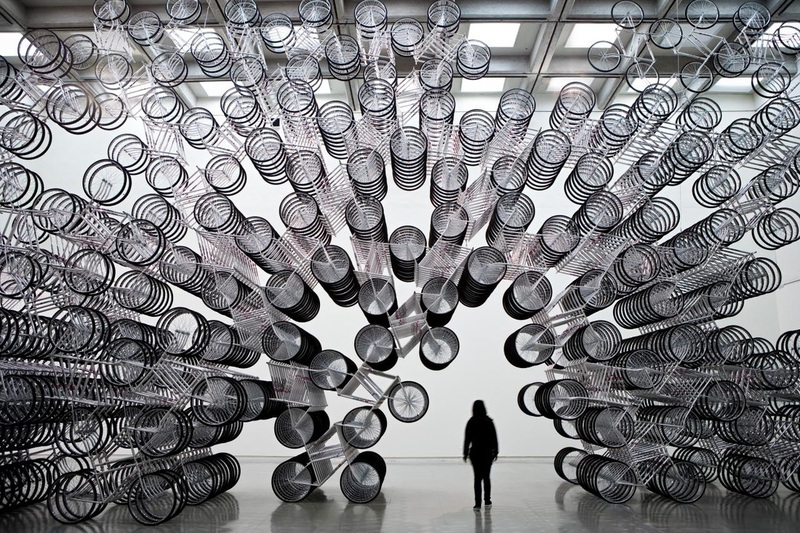 The Installation Art in this photo is made by arranging bicycles in a large room. The art looks different as the viewer walks around and through it. The Tate Modern Art Museum in London commissions an artist each year to create an installation art for their large Turbine Hall. 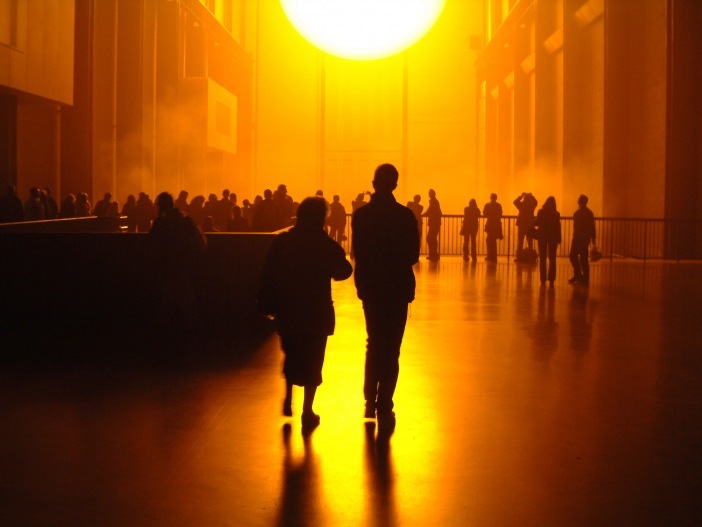 For The Weather Project, an artist brought an imitation of the sun into the hall. Installation art can be either temporary or permanent. They have been constructed in museums, galleries, and public and private places. Installation art can use a broad range of media but many make use of new art media such as video, sound, virtual reality, and the internet. 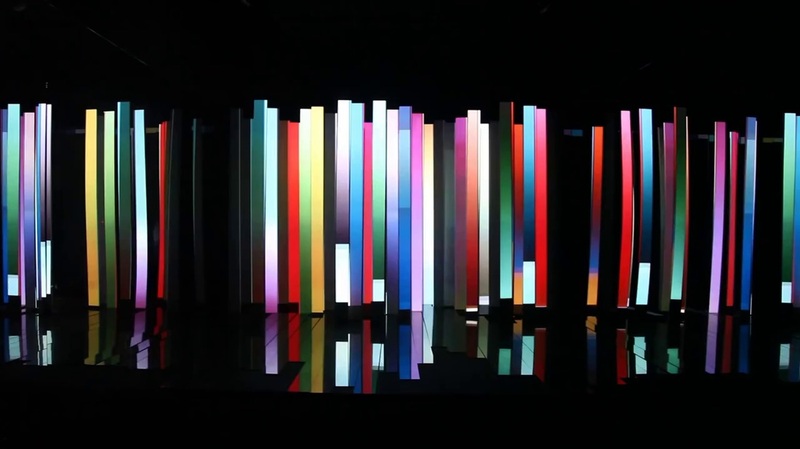 Sonia Falcone created a video installation using slender blocks, mirrors, 3D color projection and a dark room among other components. 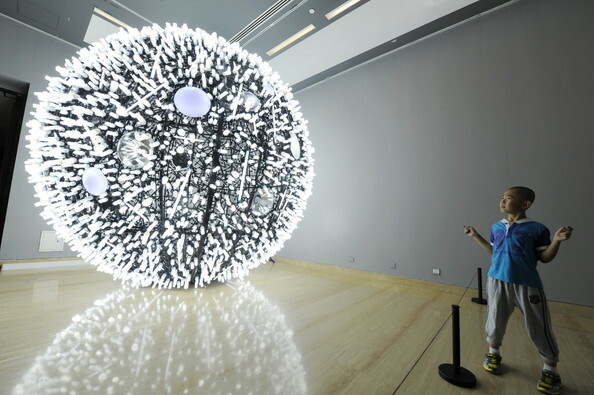 ​Interactive installation art involves the viewer acting on the artwork or the artwork responding to the viewer. The Obliteration Room was an interactive installation art set up in the Tate Modern Museum in London. 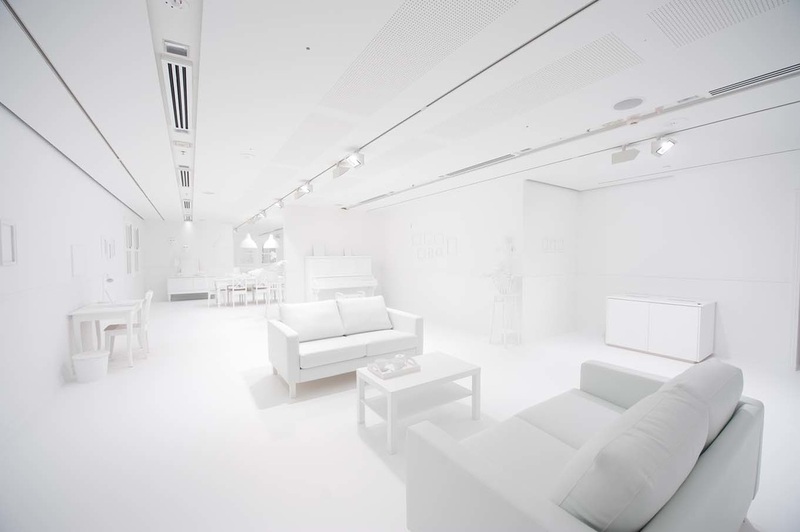 The installation created an entirely white room, including furnishings. ​ Viewers were then invited to “act on” the artwork by choosing and placing multi-colored round stickers wherever they pleased. 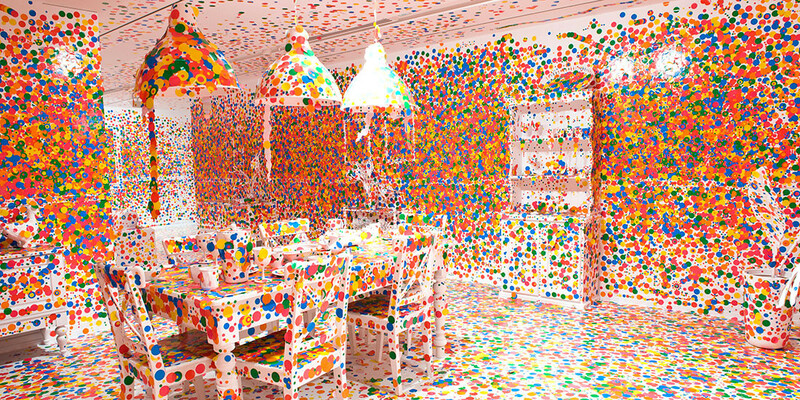 ​ The viewers obliterated the whiteness of the room after they applied colored stickers person-by-person. Artist Marc Lee created this interactive new meda art installation, 10.000 Moving Cities at the National Museum of Modern and Contemporary Art, Seoul, Korea. The viewer can enter a city in the computer and images pertaining to a search for that city appear on the 3-dimensional building models. "The Changing Trends And Topics In New Media Art And Its Online Future".Anewdayswork.com. N. p., 2016. Web. 9 May 2016. "Hsin-Chien's New Media Art Projectthe Inheritance". Storynest.com. N. p., 2016. Web. 9 May 2016. "Installation Art ". Tate.org.uk. N. p., 2016. Web. 9 May 2016. "Marc Lee". Wikipedia. N. p., 2016. Web. 9 May 2016. Maurice Benayoun's Art Installations Virtual Reality And Interactive Art Works".Benayoun.com. N. p., 2016. Web. 9 May 2016. Media Art > Introduction ". Imma.ie. N. p., 2016. Web. 8 Apr. 2016. "New Media Art". Wikipedia. N. p., 2016. Web. 8 Apr. 2016.